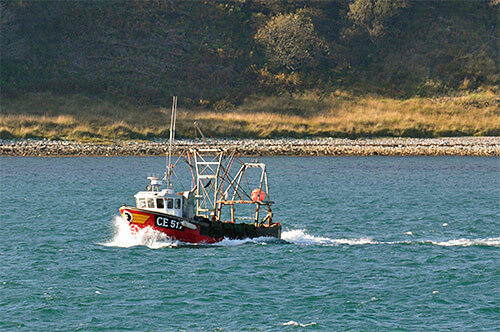 A fishing boat travelling south in the Sound of Islay, I believe it is the Provider, CE 517, registered in Northern Ireland. Seen from the ferry from Kennacraig to Port Askaig in October 2013. That's all for tonight. Good night and have a great weekend!